It's funny, on the one hand time really does feel like it's flying by. Then, when you crave something for so long, it begins to inch by at a crawl. 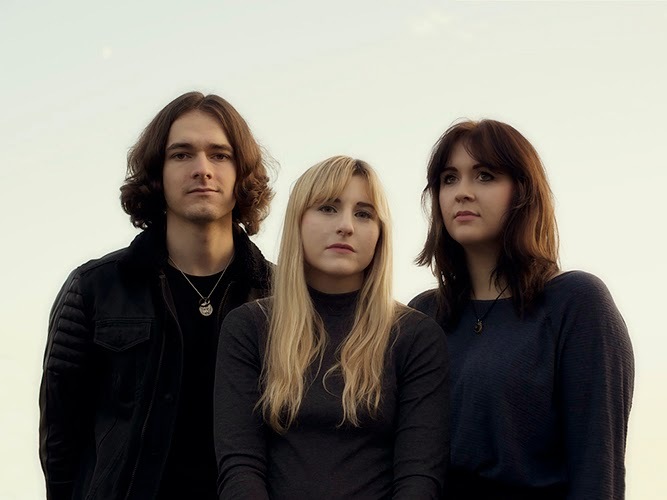 Whilst it feels like forever since I last posted anything relating to London three-piece Wyldest, it was in fact only last month when they graced us with their glistening dream-pop essence on Cruel Dusk. Thankfully we no longer have to go completely insane from over-playing their debut offering with some new material to keep things ticking over nicely. Neatly tying in with the band's first single, Danish Longball offers another elegant insight in to the trio's dainty synth-melodic world. Swirling with an effervescent grace, once more we're indulged in a plethora of softly strummed guitars, sharp witted lyricism and echoing percussion. "The song is about an unlikely Scandinavian love affair; listeners can groove or simply reflect on the sadness of the lyrics" explains singer Zoe Mead. Take a listen for yourselves below.